Funding to Ontario college focuses on training First Nations students, and Resolute commits to hire them. Getting a good education is just one part of the puzzle. You also need a good job. 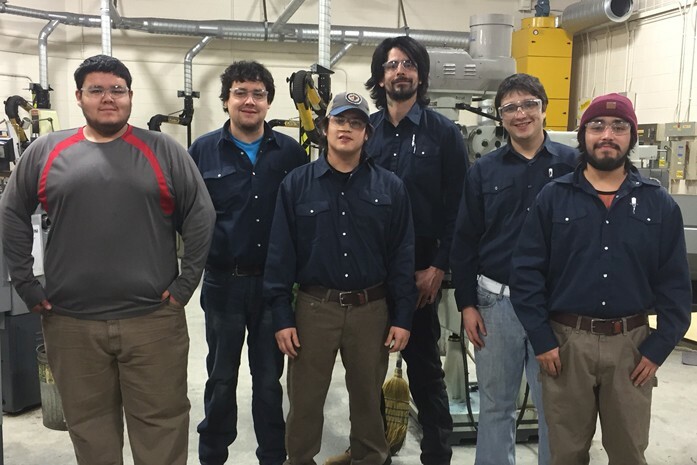 For the six aboriginal students enrolled in the Industrial Mechanical Millwright Technician Program at Cambrian College in Sudbury, Ontario, that won’t be a problem. Resolute will hire these graduates when they complete the program in 2017. Providing job opportunities is part of the company’s broader work to revitalize the millwright and mechanical trades programs at various colleges. Millwrights are industrial jack-of-all-trades mechanics whose ability to diagnose, install, and maintain plant machinery is integral to the efficient functioning of almost any site with machinery such as sawmills, paper mills, factories, power plants and construction sites. Connecting jobs to aboriginal education programs is important for developing lasting economic opportunity and achieving post-secondary education and training framework goals for the region. Our involvement with this program reflects Resolute’s commitment to creating opportunities for mutual benefit alongside First Nations in the areas where we operate, and to building a strong, diverse workforce. For information on Resolute’s other partnerships with First Nations across Ontario and Quebec, check out our blog post Resolute Celebrates Historic Partnerships with First Nations.